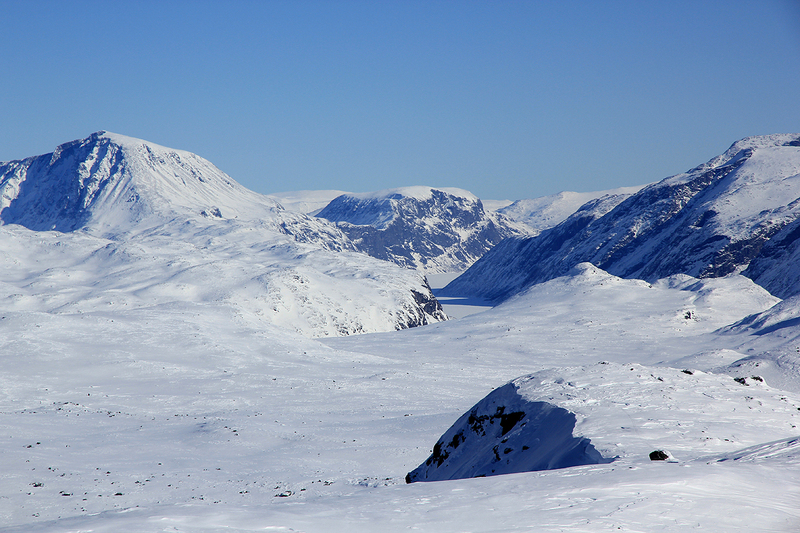 From Fondsbu, head up the valley Mjølkedalen, then follow the drainage that runs up to your right when this valley ends. Follow the drainage up to more level terrain. You will see Snøholstinden straight ahead and you will get Høgbrøthøgde on your left hand side. Continue up this drainage until you have passed the last lake at elevation 1551 meter. 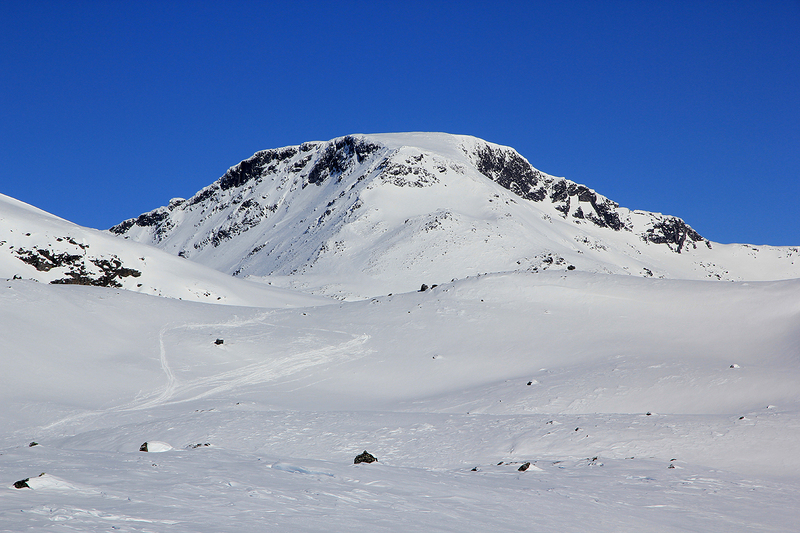 Now keep left and turn onto the east ridge of Høgbrøthøgde, the mountain levels out above the ridge. Continue across easy terrain to the cairn and highest point at the far end. I attended a very nice birthdayparty for Per Ove Oppedal at Fondsbu the previous evening. Naturally, this caused a late start. 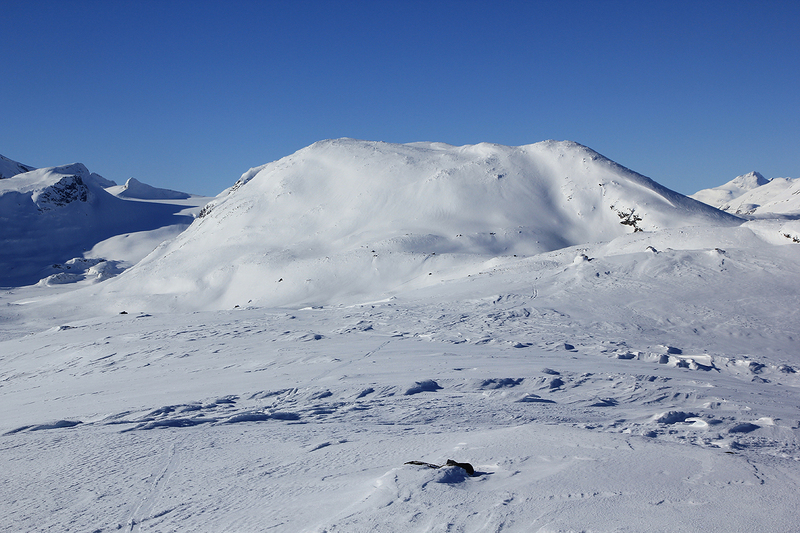 The very nice person that runs Fondsbu, Solbjørg, told me that my target mountain was among her absolute favorites. The weather was near perfect. Starting at 1030, I had a nice ski to the summit arriving there at 1300. 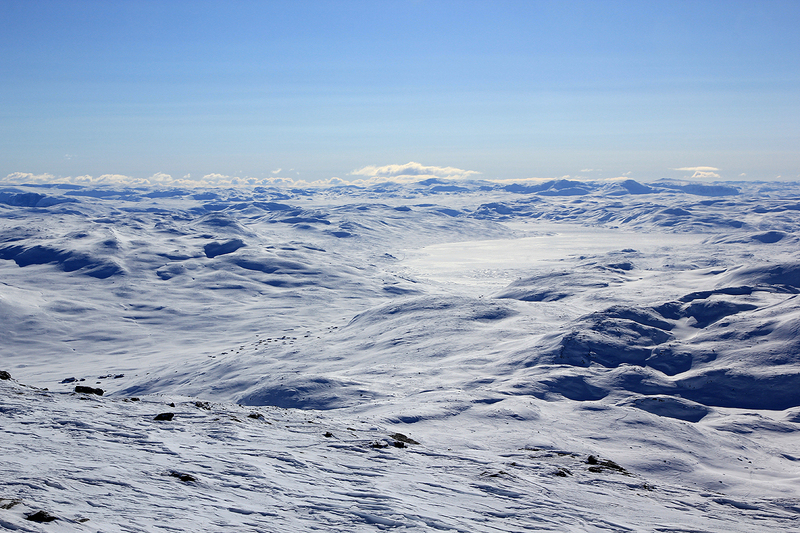 From this summit, one can see the three big lakes, Tyin, Bygdin and Gjende. 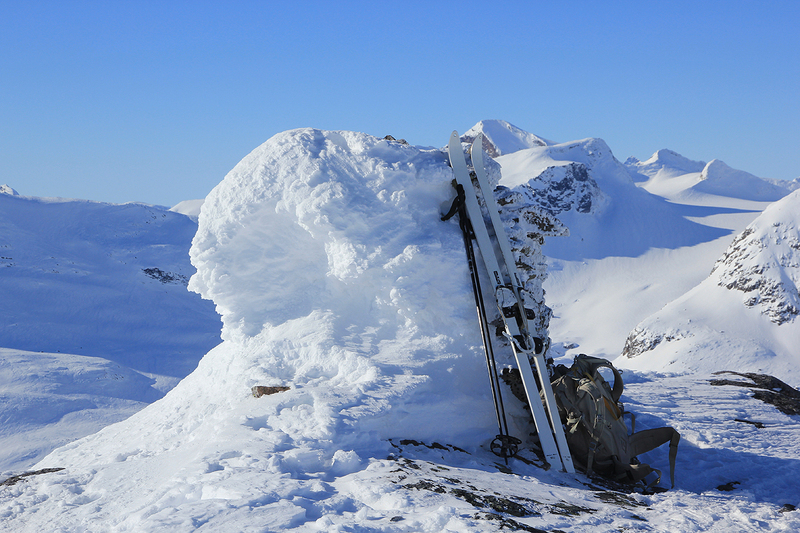 Leaving at 1310, I skied back down, then across to the mountain Høgbrøtet at 1420, before returning to Fondsbu at 1530. Summit view towards lake Tyin. Summit view towards lake Bygdin. 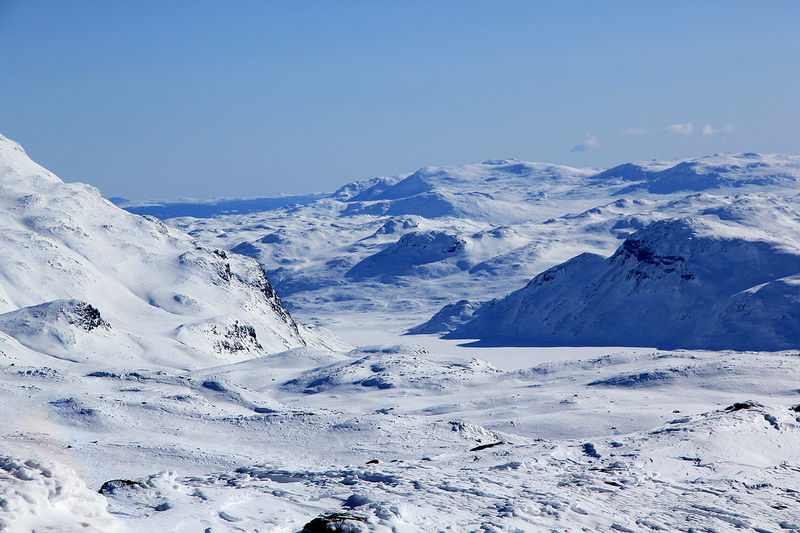 Summit view towards lake Gjende. 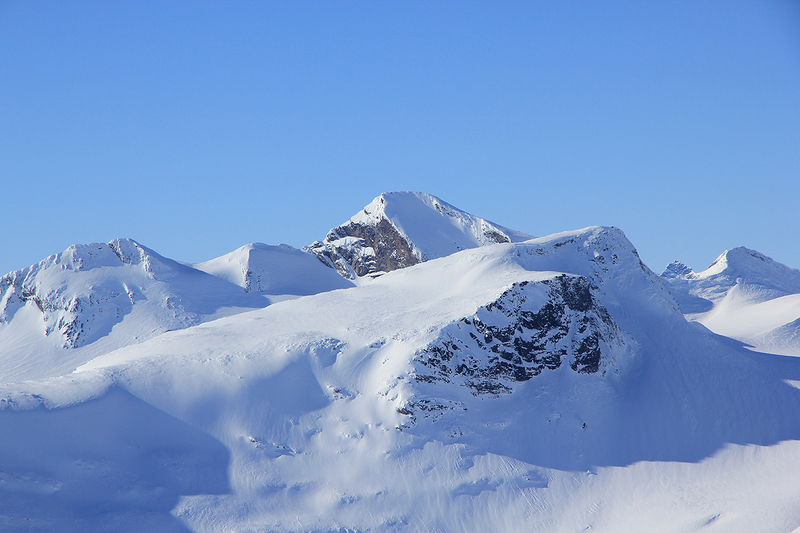 Summit view - Jotun peaks.